Pet Health Insurance Saves Lives! Why is it important to have adequate pet health insurance? Imagine your dog needed medical treatment and you couldn't afford to pay for it. How would you feel? Give your dog the loving protection he deserves and make sure he's covered. It Could Be The Difference Between Life And Death For Your Cocker Spaniel! Whilst we don't like to think of our pets being injured in a road traffic accident, or becoming seriously ill, we should be realistic and accept that there is a possibility of either happening. We all know that vet bills can be very expensive; they soon mount up. Imagine then, having to make the heartbreaking decision to have your Cocker Spaniel put to sleep because you were unable to afford the vet fees! It really doesn't bear thinking about, does it? It's bad enough having to fork out for run of the mill costs for flea and worming treatments and routine checkups, but imagine having to spend thousands on vet bills for surgery, hospitalization, x-rays, tests, lab fees, medicines, and follow-up treatment. You could also be held responsible for any damages to property, or injury, that your dog may cause. Unfortunately, there's no such thing as a 'Doggie National Health' and if your pet needs treatment, costs could so easily spiral out of control leaving you unable to afford to pay these bills. 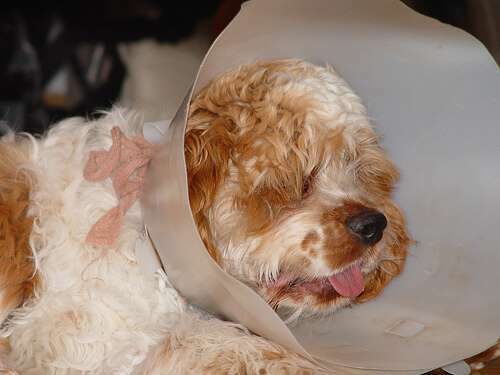 Pet care insurance will cover the cost of unexpected medical problems should your pet become ill. It will give you the reassurance that, should anything happen to your pet, you will have the funds to give him the prompt treatment or specialized care and medicines that he may need; essential care which you may otherwise have been unable to afford. 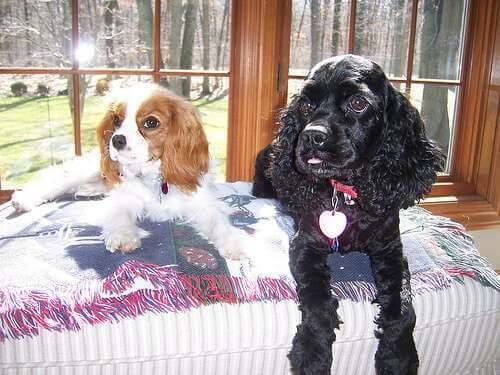 Having health insurance for your Cocker Spaniel could save his life! It's highly likely that your breeder insured your puppy for up to six weeks after the date you brought him home, so you should have plenty of time to make ongoing insurance arrangements for your puppy, but don't let it slip. If you're in any doubt about the timing - check with your breeder first and make sure you understand what a pet insurance quote should cover and the industry jargon. Dog health insurance is usually more expensive for a pedigree than it is for a cross breed. If your pet has any existing health conditions, it's unlikely that it will be covered. The older your dog is, the higher your pet health insurance premium is going to be. You may be offered a discount for more than one pet. There may be additional surcharges to the policy. Remember to check to see if there are any, and make sure you understand them. Lifetime health insurance for your Cocker Spaniel is usually quite expensive, but, if you can afford it, it's the best pet insurance you can buy. There may be limits on the amount of treatment costs which can be reclaimed each year, but it will protect your dog for life. You must, however, take care to renew your policy on time, as any break in cover will cause your policy to lapse. If this happens, your insurance company may be unwilling to renew, particularly if they have a maximum age policy, or your dog is reaching his older years. Whilst I strongly urge you consider pet health insurance, I recommend you do your research carefully. Always compare pet insurance plans to be certain that you're fully aware of what's on offer and what you're getting for your money. Before you sign on the dotted line - make sure you clearly understand any restrictions and limitations...and don't forget to read the small print! Your Cocker Spaniel's health is important, so go ahead, give yourself peace of mind and give your best friend the loving protection he deserves!